"Google unveiled its new Instant search feature, which autoloads search results as you type. I’m skeptical about claims that it will save fifty kajillion man-hours once you add up all the milliseconds saved. Its real use cases are still on the way: local, mobile, and video search. "Part of the inherent silliness of doing a Google Instant search on the wide-open web is the sheer size and heterogeneity of the data sets you’re working with. Google has no idea whether you’re looking for a quote, a movie title, a blog, a government site, or a string of text you remember sticking into a doc file months ago. So it spits out a similarly wild range of results. . . .
"The key to the next generation of TV is likely to be search, and the biggest drag on search is going to be text entry. This isn’t your laptop; people are going to be banging out text on remotes and mini-keyboards in bad light. Anything a company can do to minimize the number of keystrokes and make that process as painless as possible is going to be a tremendous usability boon to its customers. 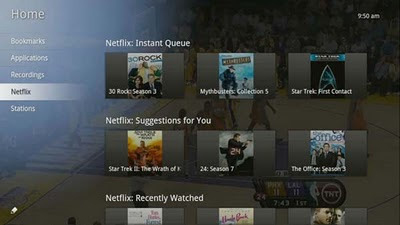 "If Google TV is really going to be the “one screen to rule them all,” it has to solve that problem. . . ."